Are you looking to put your home up for sale? Are you determined to get your asking price? If you answered yes to either of these questions then Spaces Storage is the solution for you. We provide the moving service that the local moving companies don’t want you to know about. 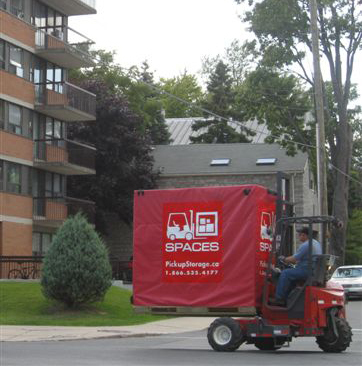 Spaces portable storage containers are great for de-cluttering your home in preparation for your move. Or maybe you just want to stage your home so it looks perfect. We can help with that too. Whether you need to clean out your garage to get your car back where it was intended to be parked or just need to straighten up before your home hits the market. Spaces Storage is the perfect moving storage solution for you. Are you ready to tackle some spring-cleaning and organize that spare bedroom, basement or garage? Protect your belongings and gain a competitive edge over other sellers by clearing the clutter and cleaning your home for prospective buyers – without being forced to part with your cherished items. With Spaces you can ensure that prospective buyers will notice all the best selling features of your home and not be distracted by anything extra. Spaces will deliver the storage container to your home, pick it up once it is packed and deliver it to your new condo, house, or apartment when you’re ready. If you are taking your time between moves we can hold the container at our secure facility and bring it to your location when you’re ready. Spaces Storage containers offer an easy solution to separating your household items from your garage items, basement items, and garden items. Are you a renter moving to a new location? Don’t rely on truck rentals to be there for your next move forcing you to pile all your items into the back of a large, cumbersome truck. Our storage containers can typically hold one to one and a half rooms full of furniture so you can pack multiple containers, one for each room or area of your home. Worried that you will not fill all the containers you’ve ordered? That’s not a problem because Spaces will only bill you for what you fill. We always recommend ordering 1 more container than you think you will need. This allows for a much cleaner, smoother packing operation. There’s no need to risk damaging items to make them fit. Use as many storage containers as you need an only pay for what you fill.